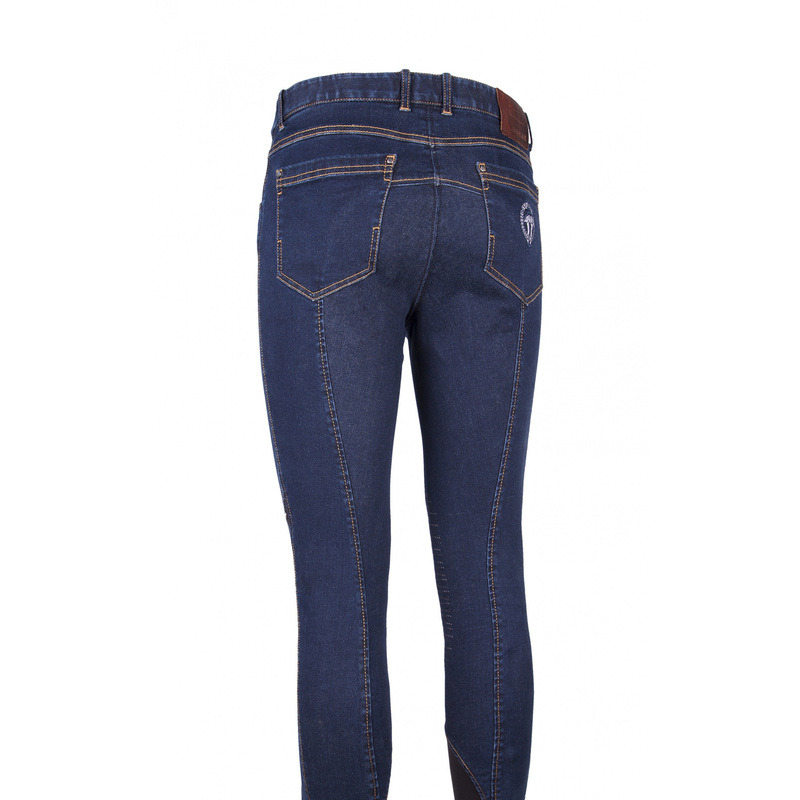 Men's jeans breeches Janar with brown stitches that perfectly imitate classic jeans. Elastic and durable, they excellently fit to the body. There is a non-slip grip on the inner side of the knees, which provides better comfort during riding. The legs are trimmed with thin and elastic inserts from material so the breeches fit well and won't roll up. 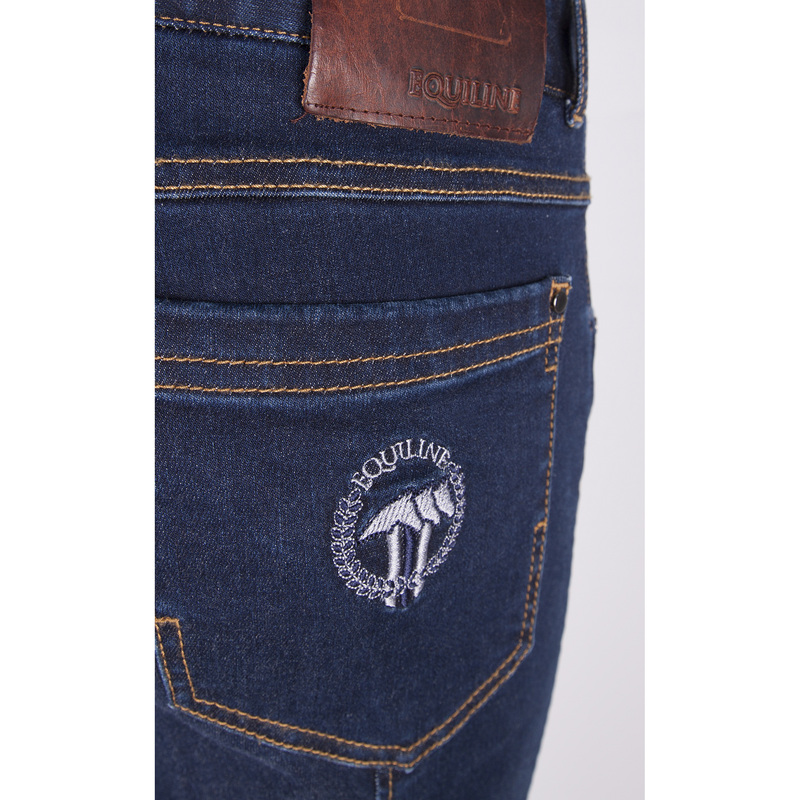 An Equiline logo is embroidered on a back pocket.